Diana was born and raised in Windsor, Ontario. She was inspired to pursue a career in the health care as she has always had an interest in helping people. She started her nursing Career in 2002 as a Registered Nurse graduating from St. Clair College in Windsor. Diana worked as a RN for 4 years then returned to school to complete her baccalaureate degree at University of Windsor in 2008. 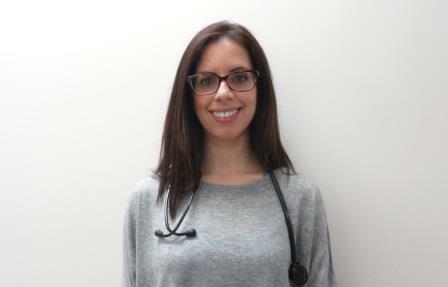 In 2014 she completed her Masters in Nursing and the Nurse practitioner program at University of Windsor. Diana first started her Nursing career in the United States working in acute care hospital setting focusing in the care critically ill patients. She also pursued travel nursing for year. With over 12 years of acute care nursing experience she is excited to be working in her new role as a Nurse practitioner with the CKFHT. Diana’s focus is in women’s health, health promotion, disease prevention, and chronic disease management.